Poppy Hills Golf Course offers a spectacular layout designed by Robert Trent Jones Jr. in 1986. A renovation, lead by Robert Trent Jones Jr. in 2013, improved the overall layout and reconstructed all of the green complexes. 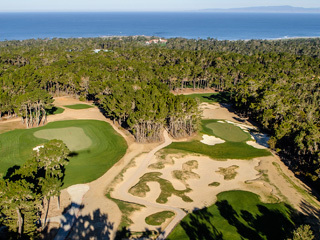 This hidden gem is located in Pebble Beach, California, hiding under the radar compared to its world renowned neighbors. Positioned deep in the Del Monte Forest, Poppy Hills Golf Course feels like it is worlds away from civilization. Pine tree lined fairways require accurate, premeditated drives to set up your approach to large undulating greens that are well guarded by bunkers. As you journey to the front-nine, you will find yourself moving deep into the Del Monte Forest. The solitude combined with echos of singing birds cast a sense of calm over your round. The 1st hole is a magnificent par five with a carry over a large pond that boarders half the green. The back-nine zig-zags on a ridge in front of the clubhouse with many pine tree lined dog-legs. Poppy Hills is the headquarters of the Northern California Golf Association (NCGA). Renown for being the first course in the United States owned and operated by an amateur golf association. The NCGA purchased the 164-acre parcel in 1977 for just over one million dollars. 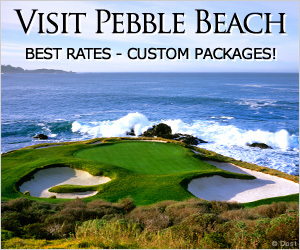 Poppy Hills co-hosted the PGA Tour's AT&T Pebble Beach Pro Am for 18 years, from 1991-2009, along side Pebble Beach Golf Links and Spyglass Hill Golf Course. Ranked among the best courses in Northern California, Poppy Hills has been named "Golf Course of the Year" by the National Golf Course Owners Association, along with being in the "Top 20 Courses in California" by Golf Digest! There is no doubt Poppy Hills Golf Course is a top quality facility.